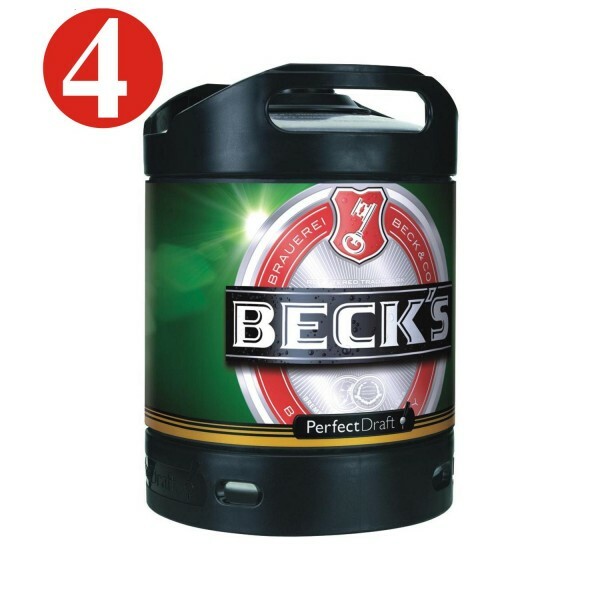 Produktinformationen "4x Becks Pils Perfect Draft 6 Liter Fass 4,9 % vol MEHRWEG"
Zusätzliche Informationen "4x Becks Pils Perfect Draft 6 Liter Fass 4,9 % vol MEHRWEG"
Details zu "4x Becks Pils Perfect Draft 6 Liter Fass 4,9 % vol MEHRWEG"
Kundenbewertungen für "4x Becks Pils Perfect Draft 6 Liter Fass 4,9 % vol MEHRWEG"
Always reliable, the Beck's is a great beer for our sailing club. I buy it from my-food-online because it's the best price I have found and the delivery is timely. I get money back on the empties too, further improving the price. Thanks for a great service!